The da Vinci Jr. 1.0 Pro has adjustable temperature settings for the extruder nozzle, making it compatible with 3rd party 1.75mm PLA filaments. With it's auto-loading filament system, the da Vinci Jr. 1.0 Pro ensures that all filament is fed properly. 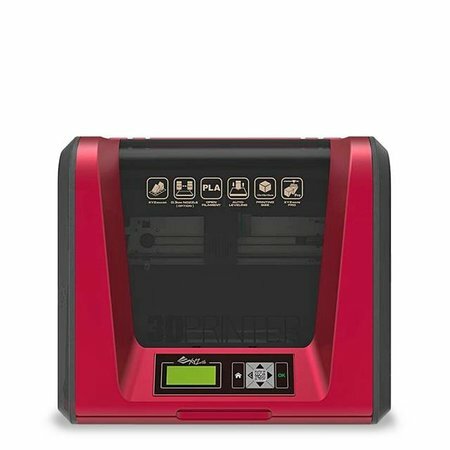 The da Vinci Jr. 1.0 Pro uses an intuitive 9-point calibration detection system that accurately determines the distance between the extruder and the print bed. * Note: maximum printing speed tested by actual material extrusion speed under laboratory testing conditions, actual printing results may vary.